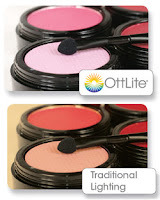 Let Your Light Shine with Ottlite! The "Best" in Lighting Technology! Whether you are a spa, salon, doctor’s office, or wellness center, the lighting of your space matters to everyone… for everything! For this reason we bring you OttLite, and OttLite brings you HD lighting indoors! • Reduces eyestrain caused by glare - therefore won't give you a headache! • Excellent for applying make-up, due to the true color! • See details accurately and clearly. Excellent for doing nails, facials etc. ...and the bulbs last for 10,000 hours! Do you need an overhaul to the lighting in your space? For light truly does matter! 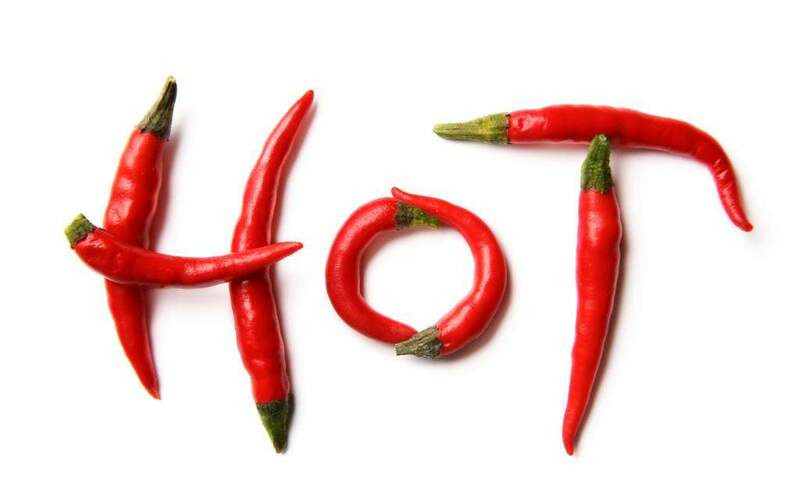 What's Hot All Month Long?... Find out in Pure Spa Direct's New "Specials & Top Picks" Section! At Pure Spa Direct we recently added a new section to our website, called "Specials & Top Picks." Each month we will be updating this category based on products we selected to be on sale for the entire month. Products are selected based on a wide variety of categories including Spa, Salon, Hair, Nail, & Sunless Tanning. Items are placed on sale for 20% off the entire month! Economic times are tough, and helping you save on popular products is our priority! We also created a new section to bring to you our monthly staff "Top Picks." Each month the team at Pure Spa Direct will be sharing a selection of products chosen from items that are new to the website, popular and most commonly asked about products, as well as products that we've tried and loved! Creating a natural looking, almond glow on alabaster skin used to be a challenge. Pure Spa Direct offers a specialized collection of professional tanning mists that impart realistic, sun-tanned tones on all fair skin types. We worked tirelessly to find a range of products that didn't impart just the look of a spray tan, but products that actually created the illusion of a naturally olive-based skin tone. Most clients prefer a tan that looks natural, but still imparts a deep warmth to the skin... almost like they were born in the Mediterranean. Creates a truly BROWN tan. So what are your best choices for tanning your fair skinned clients? Three of our five formulas are ideal for fair skin. I will break down the difference between each of these three to help you find the right fit for your fair-skinned client base. 2) Premium Tanning Mist. Think - COPPER, a radiant new penny; a bronzed tan with an flushed, rosy glow. Premium Tanning Mist has more dimension, more hues than just the baked-in-brown of Tahitian Tea - Premium has more character! Too much brown against mature skin can look aging and dull. Plus, the radiant hues of copper and bronze in Premium's formula create a rejuvenating effect to the skin's appearance that gains compliments and confidence! It gets noticed! 3) Moroccan Mineral Mist. Think - GOLDEN almond glow. Hues of bronze, honey and sunlight are woven into this exotic formula to make for a luminous tan that resembles a true olive skin tone. Moroccan Mineral Mist's nutrient rich formula was designed to enhance the skin's beauty while giving it a sumptuous, tan effect that looks superb on all skin types and ages. All of our tanning formulas are RICH with Lipids, Vitamins, Anti-oxidants, humectants, Peptides, plant oils, and botanical extracts for the ultimate and most luxurious tanning experience possible. This makes each formula THICKER and richer than industry standard formulas. You must have professional spray tanning equipment with a pressure regulator to atomize them properly. All our solutions experience their PEAK performance when sprayed thorugh an HVLP unit and gun. If you plan on expanding your spa menu to offer professional spray tanning, invest in a good unit that will go the distance with your business. We recommend the TC3 Tanning Center with the T5020 Gun. We also offer bundles for businesses here: http://www.purespadirect.com/Spray-Tan-Equipment-HVLP-Spray-Guns-and-Turbines-s/684.htm This unit sprays all 5 of our tanning mists like a dream! What a client does before or after a spray tan can be critical to its final results. Not properly preparing for their sunless service or improperly maintaining their sunless tan after their appointment can cause poor results. Offer your clients retail products that were specifically developed to keep their sunless tan looking beautiful and bright. Daily moisturization and occasional gentle exfoliation are essential to keeping an airbrushed tan looking flawless. Pure Spa Direct offers FREE Tanning Tip Sheets with your order. You should hand these attractive sheets out to your clients at the time of booking / service. Wow! 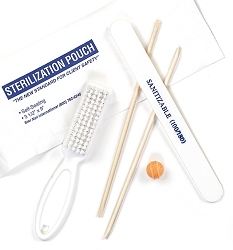 Your Clients with Personal Sterilization Kits! Whenever I try out a new nail salon, I am very critical (I guess from being a professional in the industry) and have certain criteria that I use to rate each nail salon. Number #1 on my list is if the place is sanitary or not, and if they are using sterilized instruments. 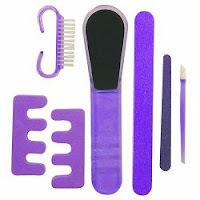 If a salon looks dirty, it probably is, and so are the implements they are using on your nails. My biggest fear when getting a manicure/pedicure is catching a nail-destroying fungus that is going to ruin my finger and/or toe nails for months, or possibly forever. As a spa or salon owner, cleanliness should be one of the biggest concerns for your business. At Pure Spa Direct, we want to remind you how important it is to be extremely cautious of spreading germs and bacteria, and enforce procedures that are as sanitary as possible. My biggest recommendation is to purchase Manicure & Pedicure Sterilization Kits for your salon. When you pull these out during a nail treatment, you will absolutely WOW and impress your clients! You can purchase them at a very low cost which can be nominally built into the treatment cost, or retailed for extra profit $$! 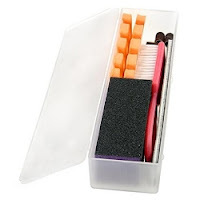 When providing your regular clients with these kits, you can also give or offer for retail a cute little carrying case like the Client Personal Implement Plastic Box by ProTool/ $0.96. These cases will enable your clients to keep their own implements sterile, and save you the cost of giving a kit for each service.